As of the end of FY17, Australian telecommunications providers had incurred more than $176 million in capital costs related to complying with the government’s mandatory data retention regime. The government today quietly released the annual report into the operation of the Telecommunications (Interception and Access) Act 1979 for 2016-17. The TIA report is the key public sources of information on the use of police powers to intercept and access stored communications as well as so-called telecommunications ‘metadata’. The bulk of the compliance costs — $119 million — were incurred during 2016-17, the report says. Since 2014-15 telcos have recovered $26 million in costs from criminal law enforcement agencies. In addition, more than 170 telcos accessed funding under the $131 million Data Retention Industry Grants Program. Telstra, Optus and Vodafone were the biggest beneficiaries of the grants program. 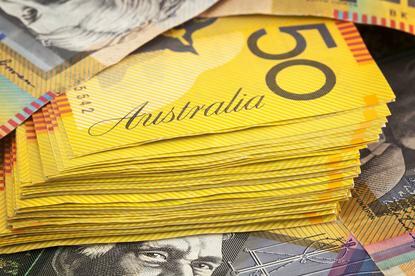 The scheme has been subject to scrutiny from the Australian National Audit Office. A report of the ANAO investigation is expected to be tabled this month. The TIA report reveals that during 2016-17, eligible enforcement agencies accessed “telecommunications” data — the term the report uses for historical metadata relating to communications such as the email address a message is sent to or the phone numbers called — on 300,224 occasions, down from 333,980 in 2015-16. In the vast majority of cases — 293,069 — data was sought in relation to criminal investigations. Drug investigations were the most common criminal matters where telecommunications data was accessed. In most cases — 79 per cent — the data sought was less than three months’ old (the data retention regime requires data to be kept for 24 months). On most occasions, law enforcement organisations sought data about a subscriber linked to a particular communications service (rather than data relating to communications). The data retention scheme came into effect on 15 October 2015, slashing the number of organisations able to access historical telecommunications data. As a result, during 2016-17 only 20 enforcement agencies were granted warrant-free access to metadata, down from 63 in 2015-16. In the period covered by the report, 3717 telecommunications interception warrants were issued. The TIA report says that those interception warrants led to 3369 arrests, 4318 prosecutions and 2703 convictions during 2016-17. The report does not include information on how often the use of telecommunications data led to arrests, prosecutions or convictions.